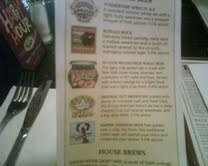 One of my favorite haunts in NYC is Heartland Brewery (multiple locations) in the summertime for their Apricot Ale! I went there with my son and daughter during a Manhattan visit yesterday and discovered a wider variety of summer seasonals than in several years. Buffalo Bock: Delicately kilned specialty malts lend a mellow sweetness and a touch of toasted caramel to this smooth, mahogany colored lager. 5.9% alc/vol. 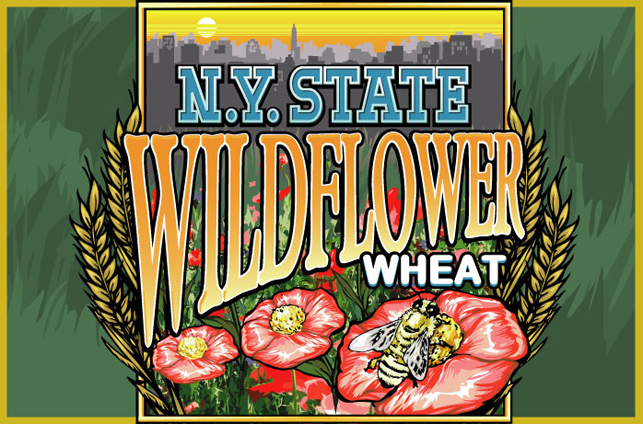 NY State Wildflower Wheat: This light, crisp golden ale is made with New York clover honey, lavender, and a selection of NY malts and hops. Served with a lemon wedge for a bright floral nose and a light, crisp finish. 4.9% alc/vol. Summertime Apricot Ale: A succulent summer wheat ale with a light, fruity sweetness and a pleasant bouquet of fresh apricots. 5.5% alc/vol. Empire Premium: Pale golden with a crisp, dry finish, this traditional Czech lager will quench your thirst and invigorate your senses. The grand surprise of the afternoon surpassed my traditional Apricot Ale favorite: The smooth and almost hefeweisen unpasteurized taste of the NY State Wildflower Ale. If you like hefeweisen’s and blondish wheat beers (not quite Belgian!) be sure to try this new seasonal. But hurry in because when the supply runs out in a couple of months, it’s gone for the season. To better pints and more tastings! Until next time… I remain the unofficial beer goddess. Let me know what you think – have you been to Heartland Breweries lately?